Eight years ago, we booked our first random trip together as a friend. We enjoyed the company of each other so much so it was followed by countless of weekend getaways. One time, we took a bus, then pay for the furthest route we think we can go to, then impulsively alight at a beautiful coastline. Since then, we became both obsessed with the idea of a free flowing trip. 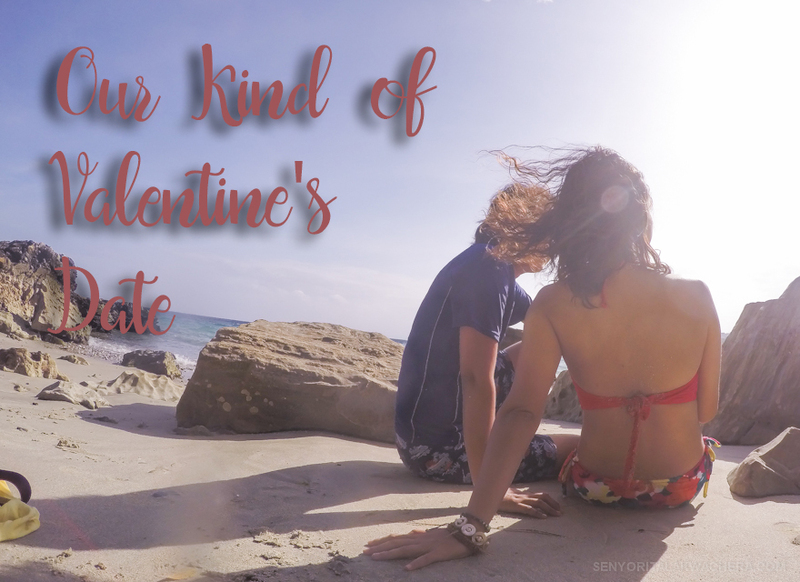 So, what's the best way to celebrate the heart's day with your partner who’s also into getting lost somewhere far and unfamiliar than a spontaneous backpacking trip? I can imagine filing a leave, packing our backpack and hopping on a bus. Alighting at a beautiful coastline randomly, and if there are boats available to take us to somewhere, then maybe we can take some ride to an island we haven’t been. There, we are going to spend the day lounging under the sun, listening to the sound of waves and feeling the wind. We will spend the night with a cold beer, good old music like it is always Sunday (The Beatles and Air Supply playing) and some local dishes. The next morning we can choose to leave or stay. And if we leave, I wish we still have a few days to hop to another place and go a little further. We might get a little lost, but no worries, I should be able to google this up and do a quick search to find a place to go or stay and then we will spend another day, taking pictures, talking about life and what have you. All this of course aren’t possible without a good gadget and we'll definitely want to have an OPPO F1s Selfie Expert with us. OPPO F1s comes with a wide angle front camera that makes taking a couple pictures easy and fun. Add some of my favorite filters, got that classic mono, nostalgic, gothic, crisp bright and romantic sunrise. It has a 16mp front camera that takes bright & beautiful selfies no matter what the lighting & environmental conditions are! So yes that’s my kind of valentine, no chocolates nor bouquets. Just sweet memories to capture and a bunch of photo and stories to share.